Ending a stalemate that temporarily shut down the New Jersey government, Governor Chris Christie gave his stamp of approval to a new budget that will provide significant benefits to private school children and their families. Despite the difficult political environment, the total budget allocation earmarked for nonpublic school families includes a $6 million increase from the amount given to nonpublic schools last year. 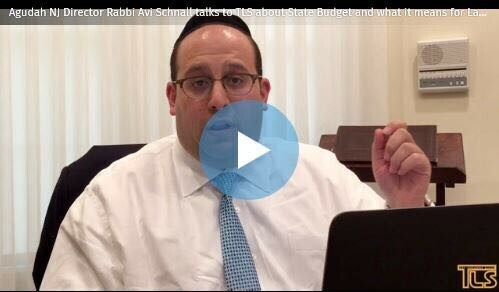 “Nonpublic school families in New Jersey owe a tremendous debt of gratitude to Senate President Steve Sweeney, Assembly Speaker Vincent Prietto, and Assembly Majority Leader Louis Greenwald for their role in this year’s budget increases,” said Rabbi Avi Schnall, New Jersey Director for Agudath Israel of America. “However, Assemblyman Gary Schaer’s herculean efforts stood out as he tirelessly spearheaded the effort to secure funding that will allow nonpublic schools to provide for the safety and security of their students while continuing to uphold their educational standards”. To read more about the budget increase click here. Rabbi Schnall was also interviewed by The Lakewood Scoop, to read the article and watch the video interview click here.